At 6:12 p.m. Saturday June 18, 2016, Bedford County 911 dispatchers received a call from a motorist reporting that she had found a small child, 18 to 20 months old, on the side of Quarterwood Road, Montvale, VA. The caller said the child was unattended and standing at the end of a driveway. Bedford County sheriff’s deputies responded and spoke to several motorists who had stopped to check on the child. One of the motorist said when they came around the curve the child was walking in the middle of the road and they had to slam on the brakes to keep from hitting the child. Deputies began canvassing the area looking for the parents. Bedford County Child Protected Services investigators were contacted and responded to the scene. They transported the child, age 2, to Bedford Memorial Hospital to be examined. The residence at the end of the driveway where the child was found was checked several times but no one was home. As darkness approached and out of concern for the child and the possible occupants of the residence, deputies entered the residence through an unlocked door. They located evidence of a child living there and found the possible identity of the parents. 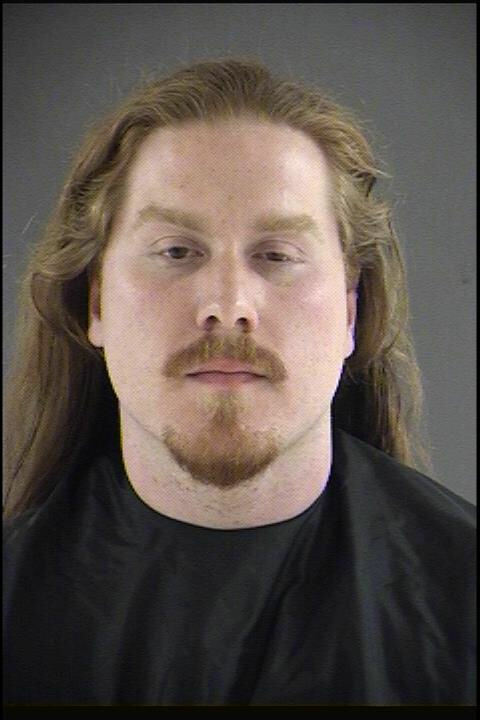 At approximately 10:00 p.m. deputies were able to make contact by phone with a Nicholas Grooters, the child’s father. He told the deputies he was at work and he was advised by the deputy to come home because his child had been found on side of the road. After arriving at the residence deputies arrested Nicholas Terry Grooters, age 26, 4095 Quarterwood Road and charged him with Felony Child Neglect. He is being held in the Bedford Adult Detention Center on no bond. The mother, who lives in Roanoke, was also contacted and responded to the Bedford County Sheriff’s Office. Sheriff Mike Brown will be commending the motorists who stopped and assisted the child at a later date. Their actions inevitably saved this little boy from grave bodily harm or possibly, death. The child is in the custody of Bedford County Social Services and the investigation is ongoing.